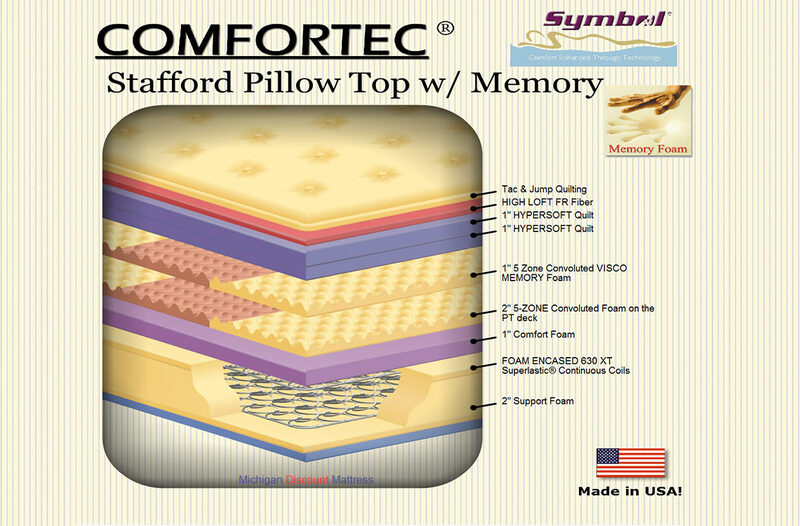 The Stafford Pillow Top offers the same Superlastic Continuous Coil technology as the Symbol Stafford Firm but additionally gives you a soft but supportive zoned memory foam top layer. 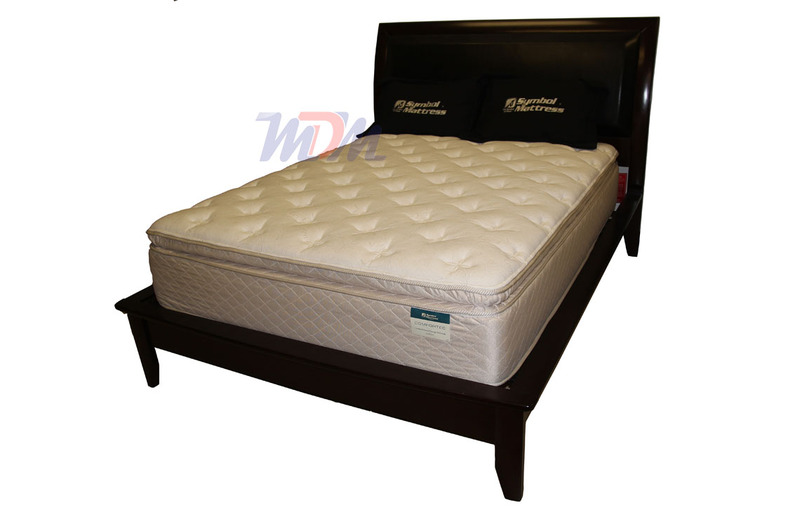 This mattress is among the most durable in the industry and also has an organic cotton cover. Zoned coils give stronger support to your hips and back, while still having a soft cusion to reduce pressure points on your shoulder and neck. 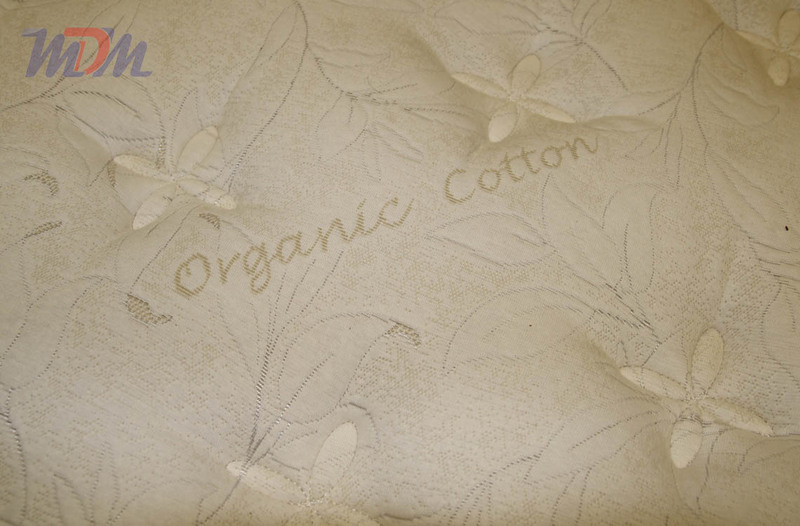 Symbol made this top of the line mattress to be a very healthy choice by using soy-based foams covered by an organic cotton top. 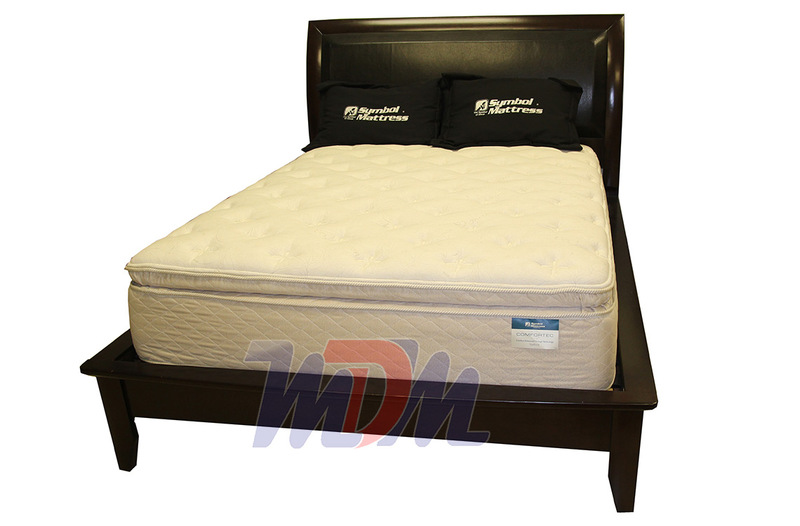 There are also multiple layers of convoluted foam to improve airflow for a cool, dry mattress at night. The continous coil SuperLastic springs are extra durable and the layer of visco memory foam adds even more support. 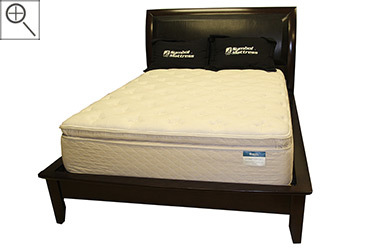 Very few pillow top mattresses offer the level of support and comfort you get from the Organic Summit Top Stafford. To get the best performance from this mattress you will need a zero deflection solid foundation. The box spring we sell with it is ideal. If your old box has any flex or springs then it will decrease the support this mattress can give and cause it to bounce more than it should.